The Pentagon was walking carefully Monday around the latest apparent rift with Afghanistan President Hamid Karzai about talking peace with the Taliban. "We still believe reconciliation is a critical part of this process," Pentagon spokesman Capt. John Kirby said. "I don't want to get in President Karzai's head here and try to decipher what he meant or exactly what he said." Karzai seemed to suggest in recent news reports that he wants to pull the plug on peace initiatives with the Taliban and turn attention instead toward Pakistan, especially since the man he put in charge of establishing links with the Taliban was assassinated last month. High Peace Council Chairman Burhanuddin Rabbani was killed in a suicide bombing attack by people he believed might be willing to talk peace. Kirby, speaking to journalists in his Pentagon office, carefully said any decisions about peace talks, or reconciliation of the warring parties, has to be led by Afghanistan. 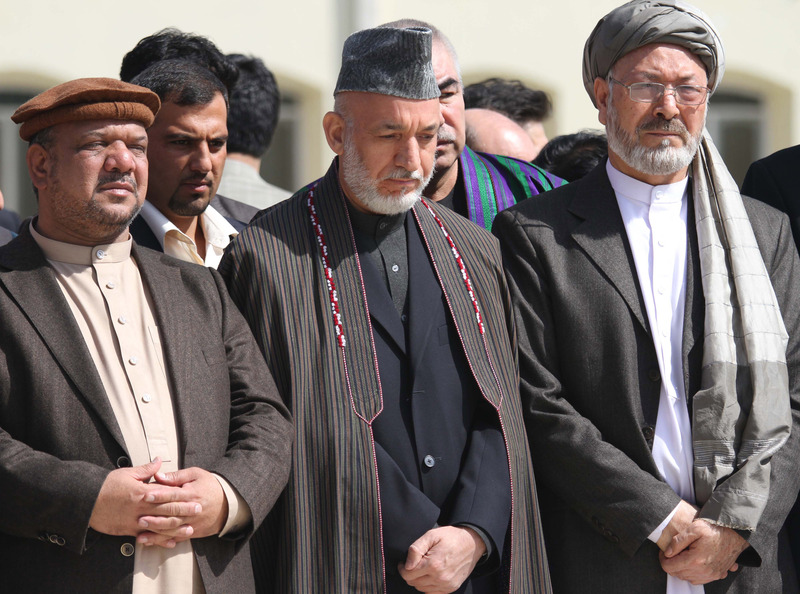 And the spokesman could not say whether Karzai has given U.S. officials word that he is turning away from negotiations. The two-step policy by American soldiers and diplomats has been aimed at improving security for Afghanistan citizens to help them resist the intimidation of the Taliban and then work on reconciliation, urging individuals, as well as Taliban leaders, to put down their arms and rejoin society. The United States has announced the withdrawal of U.S. troops from Afghanistan by the end of 2014, a policy that depends both on the steady improvement of Afghanistan's security forces as well as a decrease in the number of insurgent attacks. Formal programs are under way to persuade insurgents to leave the fight and return to their villages, usually accompanied by a government stipend or a job. Vice Adm. William McRaven, the U.S. Special Operations commander, hit home that strategy to Congress last week in explaining that talking and not just shooting are the way to fulfill the mission. "We are not going to be able to kill our way to victory in Afghanistan," McRaven told a House Armed Services subcommittee. Kirby said that "the idea that reconciliation may not be as far along as it ought to be or the idea that there are still challenges to be overcome in reconciliation does not negate the security work we are doing with Afghan and coalition partners."